Went the Day Well? is one of the most unusual pictures Ealing Studios produced, a distinctly unsentimental war film made in the darkest days of World War II, and nothing like the loveable comedies that later became the Ealing trademark. Its clear-eyed view of the potential for violence lurking just below the surface in a quiet English village possibly owes something to the Graham Greene story on which it is based, though, as Penelope Houston shows, there remains a mystery about the extent to which Greene was actually involved in the scripting. Or perhaps the direction by the Brazilian born Cavalcanti, a maverick within the Ealing coterie, is the chief reason why Went the Day Well? avoids the cosy feel of later, more familiar, Ealing films. 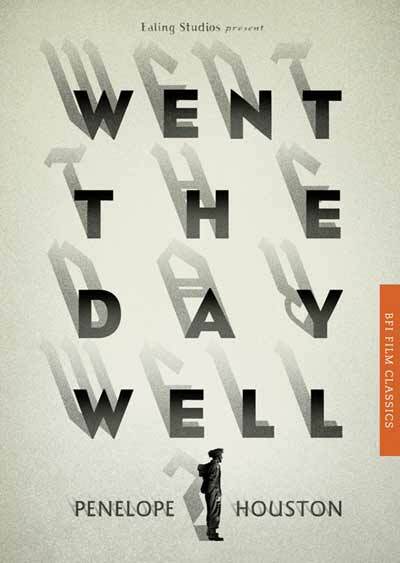 In his foreword to this special edition, published to celebrate the 20th anniversary of the BFI Film Classics series, Geoff Brown pays homage to Penelope Houston's astute study, and places the book in the context of Went the Day Well? 's changing critical reception. Brown discusses the non-English qualities of the film's narrative, and the extent to which Cavalcanti brought a foreign sensibility to its very English setting.